One thing that makes Boracay truly standout as a ‘Philippine’ island destination is its capacity to cater to a wide range of tourists. Although just about 7 kilometers long, Boracay enchants its visitors with its white sand beaches, but it can also be a playground for travelers who want to do something more than just relaxing on white sand. Island hopping is almost a standard activity for most people visiting Boracay Island for the first time. This is the perfect way of getting to see the various attractions on the island if you have limited time. Momondo, Booking Buddy. We always use these 2 great price comparison sites to find the world’s cheapest flights. Agoda, Booking.com, HotelsCombined. We have relied on these 3 accommodation sites for over 10 years. See the Complete List of all the Cost-Cutting Travel Resources we use. Get your camera ready for some beautiful scenery. What are the Destinations for the Island Hopping Tour on Boracay? This is private resort park on Laurel Island, so guests need to pay an entrance fee. 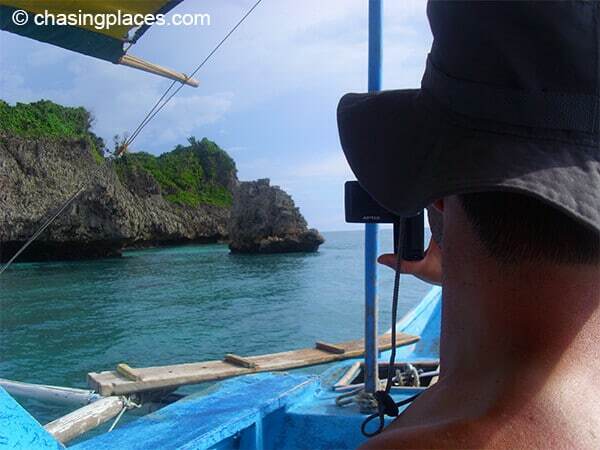 Oftentimes, this entrance fee is included in the cost of the island hopping tour. Crystal Cove has a beach where you can swim and snorkel, but its main attraction is its coves, (hence the name). The coves look like rocky holes where sea water comes in. Guests usually swim inside the coves that are gifted with very clear blue water. 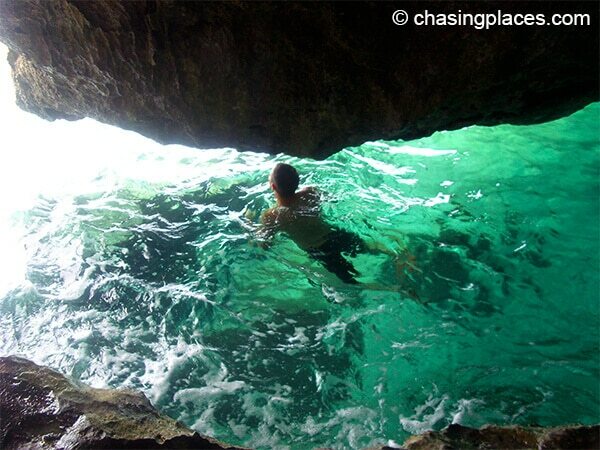 Take a dip during your tour around Boracay. There is not much to see on this small island, and as far as we know it is not populated by crocodiles. The island got its name because from a far, it’s shaped like crocodile. But boat tours do not stop at Crocodile Island only because of its animal shape. The water around this island is rich with marine life, making it an ideal snorkeling site. 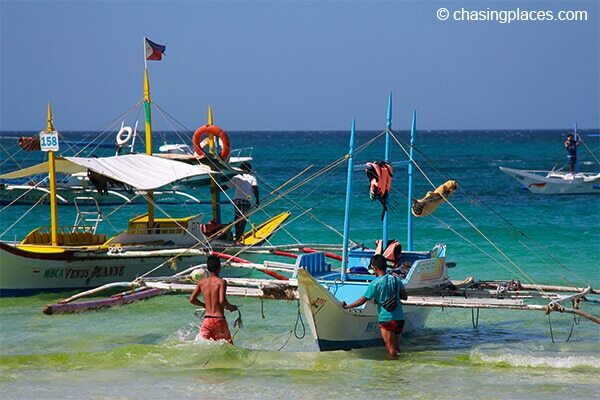 The traditional Bangka is the boat of choice for many tours around Boracay. This is a private island so accessing it means you have to pay an entrance fee. Some tour packages already include the entrance fee in the total cost. Make sure to ask your tour operator or hotel in case you are interested in visiting Magic Island. Magic Island is known for one thing, and that is cliff-jumping. Guests can choose to jump from different platforms of various heights (30 ft, 20 ft and 5 ft) into the crystal blue water. It is an ideal activity for daredevils and the adventurous, but if you are not one, perhaps you may want to skip this stop. Or you can always watch as others leap (some of them will probably be drunk). 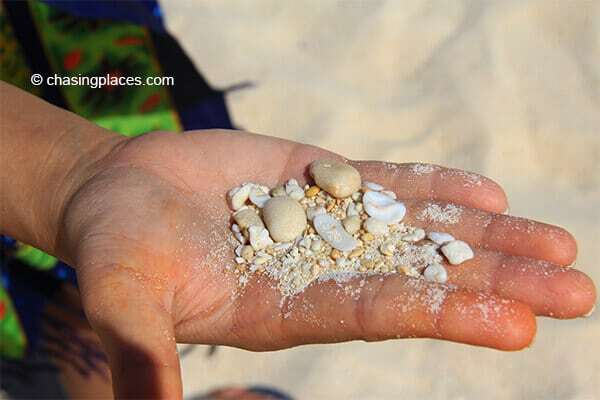 Puka Beach is a magical beach known for its smoothly crushed shells mixed in with white sand. You can get to Puka Beach on your own through the road system, but if you don’t have a lot of time, visiting this beach for a few hours via an island hopping tour is a good idea. This is one of the low-key beaches on Boracay located on its northeastern part. Compared to White Beach, this beach is short but still has that signature white sand hue. The view is nice. A couple of meters from the shore is another popular snorkeling spot. You might want to ask your tour guide to stop at one of the pristine beaches during your tour. How to Book an Island Hopping Tour on Boracay? The first thing you need to know about booking an island hopping tour on Boracay is that you will have plenty of options to choose from. Book it online. Booking online before your actual visit is ideal for those who want to keep a strict itinerary. There are reputable companies out there who offer various tours, but some fees can be more expensive than booking the tour on the island itself. The fees online are also quoted in dollars, instead of Philippine peso. All resorts and hotels have connections with boat operators. You can contact them and have them arrange your excursion for you even before you arrive. Take note that more often than not, hotels will get a ‘finder’s fee’ for booking it for you. Yes, you read it right. Walk 5 minutes around White Beach, and there will always be someone who will approach you to offer a boat tour. The good thing about this option is you can negotiate prices. Tour operators on White Beach are legitimate. This is because Boracay Island is heavily regulated as it is a money maker for the local government. So it is generally safe to talk to touts and arrange a boat tour. Take a stroll down White Beach if you need to find a boat operator. 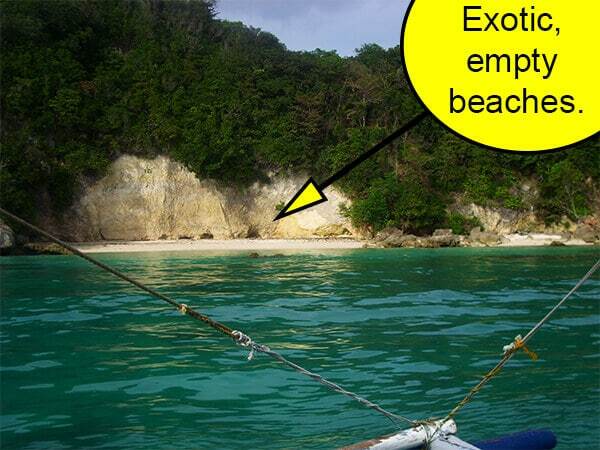 How Much Should I Pay for an Island Hopping Tour on Boracay? 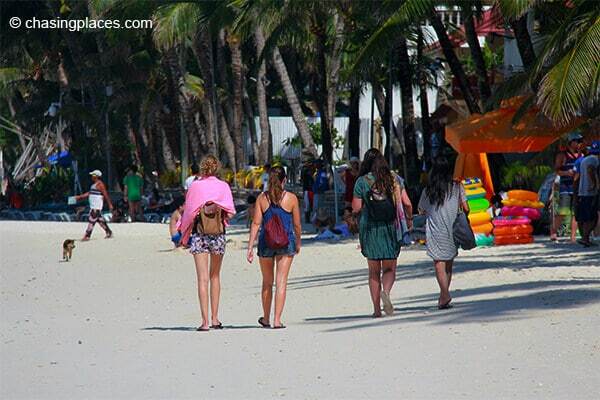 The cost for island hopping tour on Boracay varies depending if it’s low season or high season. This amount is also dependent on what perks are included in the tour such as use of snorkeling gear, lunch and water. A typical island hopping tour lasts for 3 to 4 hours. But during low season, you can arrange a schedule that suits your preferences. A typical Boracay Island Hopping Tour can cost somewhere around 2000 to 3000 Peso per boat, and often includes BBQ lunch. You can request for a private boat, but there are tour packages that are for groups. This means you will be taking the tour with other tourists. This is an ideal option for solo travelers, as booking a whole boat privately is more expensive. Where did we stay on Boracay? We stayed at Hannah Hotel. It’s a great mid-range choice only about 200 meters from White Beach. It’s managed by a really nice local family who was very helpful. We are not directly affiliated with this property, but we wouldn’t hesitate from staying there again. It had a nice location, quiet and away from the party scene, but still close to the beach. At the time of writing it had a score of 8.3/10 based on 473 verified guest reviews. How to find the right room on Boracay? Where Should You Stay on Boracay?